The National Youth Service Corps was birthed in 1973 during the military regime of General Yakubu Gowon. The scheme was conceived as a strategy to encourage cultural integration in the aftermath of the civil war. But the mandatory one-year scheme, where youths are deployed to various parts of the country, has been a subject of rife criticism recently. These criticisms range from poor health management of corps members to inadequate welfare, and recently, the death cases in orientation camps. Several calls have been made for a review or total eradication of the scheme. After brilliant years of academic pursuit in tertiary institutions, corps members are subjected to various forms of dehumanising conditions during their service year. Some lose their lives in the 'strange lands'. In the last 14 months, no less than 12 corps members lost their lives during service year. Accidents, ailments, and demise during election are avoidable if the custodians of the corps members’ welfare had been geared towards their responsibility from onset. In Ifedolapo's case, the corps member allegedly died through sheer negligence by the camp clinic staff. They thought the First-class graduate was feigning illness, and later, when they attended to her, there was no professional doctor in the clinic. She was reportedly treated by a corps doctor (one of the corps members who works in the camp clinic), a nurse, and gave up the ghost before she could be transported to the General hospital. Although a doctor was on duty at the Bayelsa camp, he was not qualified to handle Chiyerum Elechi’s bleeding and referred her to a hospital in Yenogoa, where she was confirmed dead. Asuquo and Jumoke suffered a similar fate. Away from health issues, the scheme has been plagued with several other cases of corps members losing their lives in accidents on their way to orientation camps, some kidnapped, some brazenly killed by hoodlums during elections, and so on. The negligence of the Nigerian Federal Government to ensure the protection of their lives reflect the flaws in the scheme and attendant ineptitude. How does the government react to these deaths? Government’s reaction to cases of corps members’ deaths has been of unfulfilled promises and exoneration when the deed is done. On receiving the news of the deaths of Ifedolapo and Asuquo, President Muhammadu Buhari ordered an independent investigation into their deaths, describing the incidents as ‘shocking, sad and unfortunate.’ However, three months after the incidents, there has been no report on the investigation nor steps taken to fix perceived lapses. The last road accident, which claimed lives of two corps members, occurred on 26th of February 2016, and neither the scheme nor the government agency has reacted to the unfortunate incident. How can we get it right? According to 2015 figures, the government budgets between N70 and N74billion annually to mobilize, orientate, and pay allowances of corps members nationwide. With such huge investment in the nation’s graduates, there is little to show for it in the welfare of corps members. NYSC needs to provide the services of skilled medical personnel at the camps. 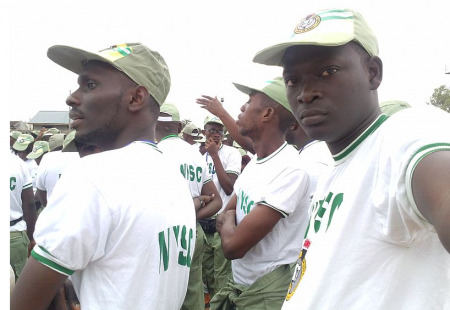 A better arrangement to feed, health, and general comfort must be provided for corps members at the orientation camps and throughout the service year. The government also must take a pragmatic approach in securing the lives of the likes of Okonta Samuel and several others, who paid the supreme price during the 2016 general elections. The Nigerian government has a lot to handle in areas of corps members’ safety on the road, an increase in allowances to reflect current surge in cost of living, and improvement in state of camps. A standard should be set by the scheme, and the state governments should help in lifting the faces of dilapidated facilities in the camps, since they are the direct beneficiaries of corps members’ labour. Until we get it right, the Nigerian government, through NYSC, will continue to pass death sentences on its bright youngsters.